Like many websites, we use "cookies", which are files stored on your computer's hard drive by your browser. Cookies help us identify account holders and to optimize their site experience. Most browsers accept cookies automatically but allow you to disable them. The help menu on most browsers will tell you how to prevent your browser from accepting new cookies, how to have the browser notify you when you receive a new cookie and how to disable cookies all together. You can also disable or delete cookies you have previously accepted if you wish to do so. A cookie is a small text file or piece of data that is downloaded to and stored on your computer or device when you visit a website. Cookies are then sent back to the originating website on each subsequent visit, or to another website that recognizes the cookie. These are cookies that are required for the operation of our website and for you to be able to complete services you ask for, such as online purchases. They include, for example, cookies that enable you to log into secure areas of our website, use a shopping cart or make use of e-billing services. These “analytical” cookies allow us to collect information about the pages you have visited on our website and the links you have followed. These cookies do not collect information that identifies you. All information is anonymous. This helps us to improve the way our website works. Some of these cookies are provided by third parties such as Google Analytics and AddThis. These cookies are used to deliver adverts more relevant to you and your interests. They are also used to help measure the effectiveness of the advertising campaign. Some of these cookies are provided by third party advertisers. You do not have to accept them in order to use our website. We do not install or use spyware to retrieve information from your computer. In Internet Explorer, click on the Tools button, then Internet Options. · In General tab, in Browsing history, click on Settings. Click on the View files button. · Click on the Name column header to sort all the files in alphabetical order, and then browse the list until you see files starting by the prefix "Cookie". (All cookies have this prefix and usually contain the name of the website which created the cookie). Close the window which contains the list of files, and then click on OK twice to return to Internet Explorer. In the displayed window, choose "Privacy settings" and click on "Show cookies"
Look for the files which contain the word "Tellus"
In your browser, select the Edit>Preferences menu. Select the cookies which contain the word "Tellus" and click on Clear or Clear All. After having deleted the cookies, click on Done. Click on the Advanced tab and go to the Privacy section. 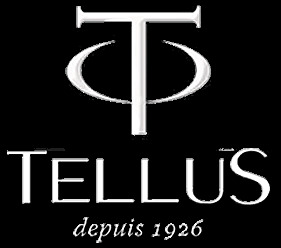 Find the files which contain the word "Tellus". Select and delete them.